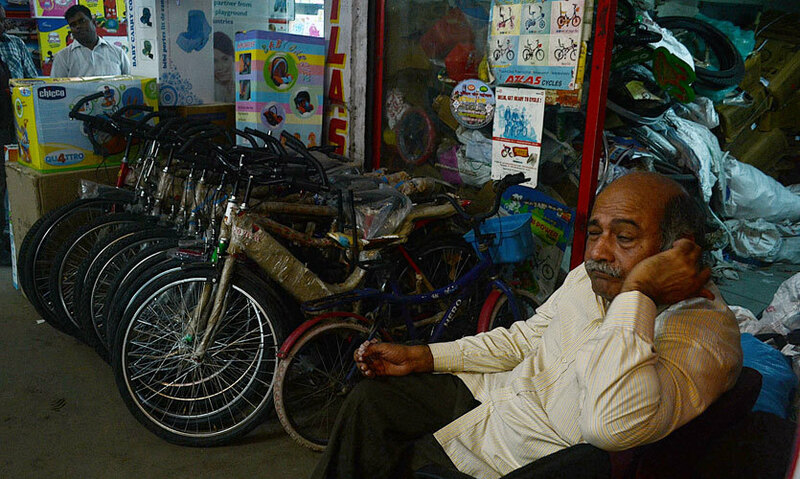 If you’re from Delhi, your earliest memories of buying a ‘Hero Ranger’ cycle would definitely take you back to the double-storey bicycle market of Jhandewalan. 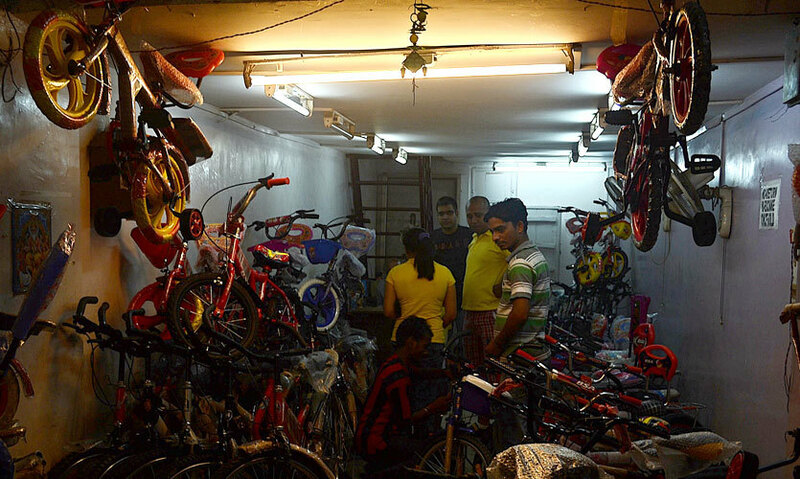 Narrow lanes, an array of cycles hung from the ceilings of the shops & haggling customers is what forms the essence of the Jhandewalan cycle market along with the smell of greased brakes and new rubber tyres which fills the air. 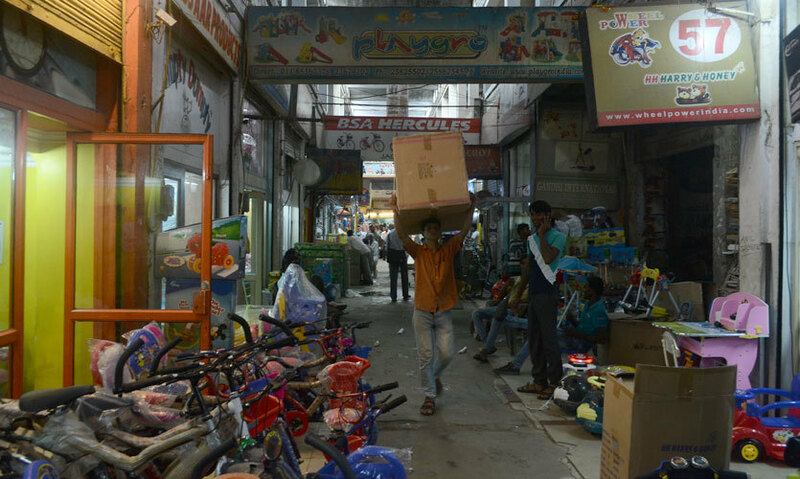 The Yusuf Sarai Market just before the Gurudwara and a small market on the Adchini Road are the only trailers of the Jhandewalan cycle market comprising approximately 90 shops with the same business stocking multiple-brands’ cycles. Whatever brand you end up going for, amongst the regulars – Atlas, Hero & Hercules, you would surely seize the best deal here! When it was earlier situated on the Esplanade Road, this cycle market was known all over Asia but as time went by and with changes in the location as per government orders, the market experienced a significant drop in cycle sales. Another reason for the drop was the unavailability of advanced foldable and gear-assisted cycles. Presently, with Delhi Government renting cycles and encouraging travelling through the city on a cycle, the market has gained momentum again. The noise of welding and metal cutting gets louder as you go deeper into the market, only to discover warehouses operating in the basement of the cycle shops which are hosted by the market which are either engaged in assembling cycles imported from other states or, manufacturing spare parts. Whether you’re buying your newborn’s stroller or your kid’s tricycle, the market stocks it all. Other products include prams, wheeler cycles, handicapped chairs and the shopkeepers also stock headgear seats, a variety of horns & hand gloves. Also known as the DDA Cycle Market, an exclusive part of the market hosts Decathlon cycle re-sellers of the brand that is used in athletic events. As an alternative option, if you wish to buy an all-new lean machine, the high-end brand Firefox has franchises which have popped up in this market as well. Other cycle markets have given way to Chinese products and the Jhandewalan Market has struggled to maintain the quality of the cycles on display. Although certain anonymous brands have penetrated into the market of fancy, brightly-coloured kids’ cycles, the major brands have remained the same through generations. In modern times, the local shopkeepers are finding innovative ways to popularize the market. A few organize events like travelling across South Delhi on a bicycle; and if cycling is a hobby with you, do keep a tab on such events! The market is located in proximity to the famous Jhandewalan Mandir. The market is reachable by bus, auto rickshaw, postpaid & prepaid taxi services & the metro. The nearest metro station is Jhandewalan. After descending at Jhandewalan Metro Station, you can opt for a cycle rickshaw to reach the market and on the way back you can opt for a religious first ride on your newly acquired lean machine. Come on by if you have a hankering to pedal around on two-wheels!